Here at Diamond Paving, we love getting fan mail! Nice words always make people smile! Did you know that asphalt pavement is America’s most recycled material? This has obvious environmental benefits, but also has some great economic benefits as well – such as saving taxpayers money by reducing the cost of roads. Each year roughly 100 million tons of asphalt pavement material is reclaimed. Of that 100 million tons, about 95 percent of that is reused in roads and highways. Some of the recycled materials are used in the road base and shoulders, but most of it is actually reused for its original purpose – to pave the roads we drive on. Asphalt can be brought back to life by asphalt manufacturers simply by heating it. When asphalt is milled, it is then taken to an asphalt plant where its used to make new pavement. In most cases, the quality of this “renewed” asphalt is better than pavement made from brand new materials. Imagine that, we get a better product and save valuable natural resources – truly a win-win situation. We are proud of the name on the back of those shirts! 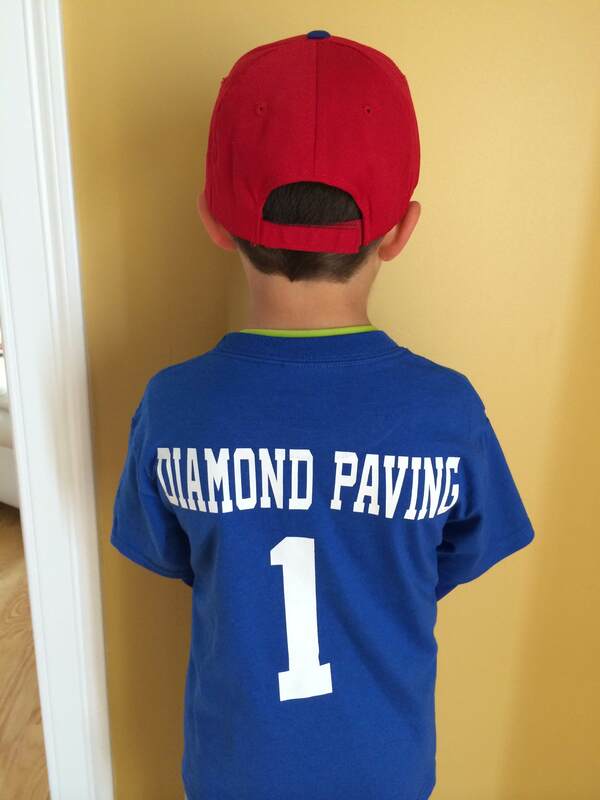 Diamond Paving proudly supporting Brentwood Youth Baseball.